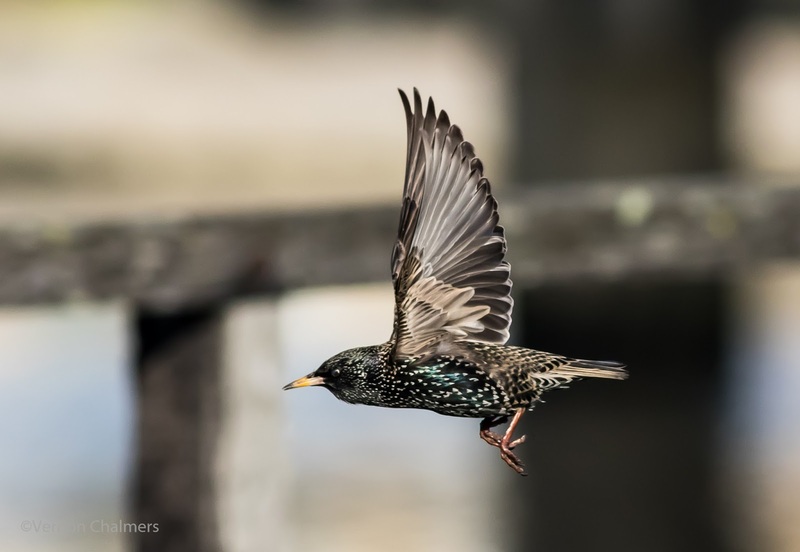 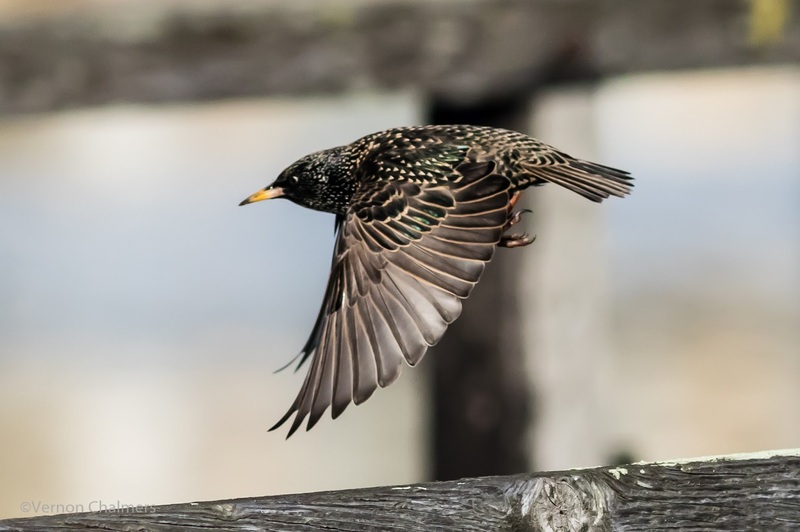 A common starling (also knows as the European starling) getting ready to fly and then taking off from under the old wooden bridge, Woodbridge Island Cape Town. 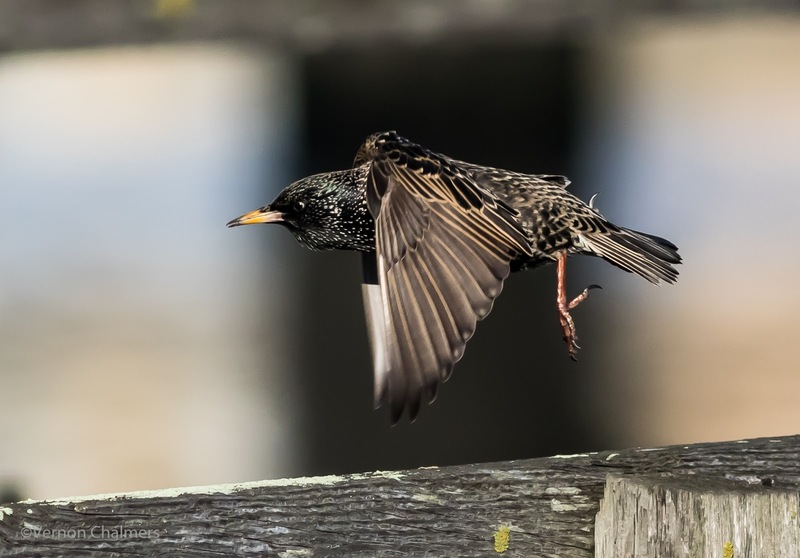 Very challenging sequence, but once again impressed with the Canon EOS 7D Mark II's Autofocus and frames per second / capture rate. 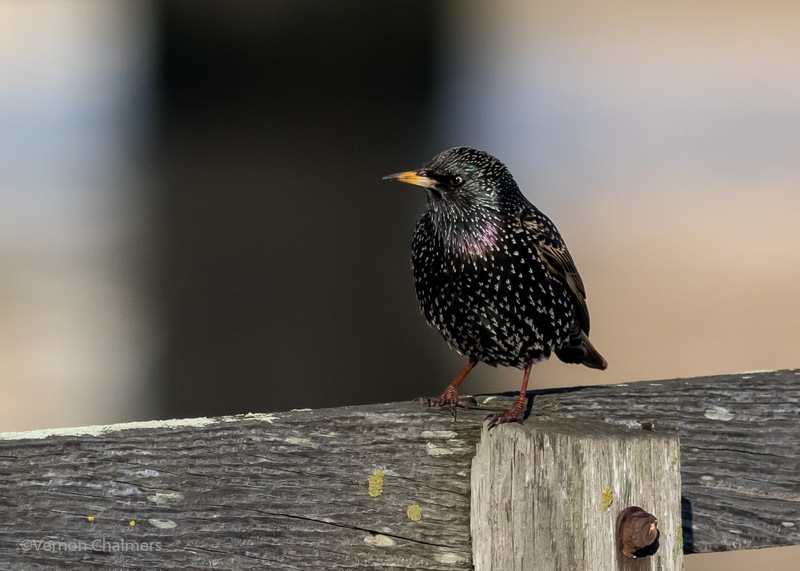 All common starling photos by Vernon Chalmers with Canon EOS 7D Mark II / Canon EF 400mm f/5.6L USM lens (Handheld). Manual mode: ISO 1000 / f/6.3 1/5000s.